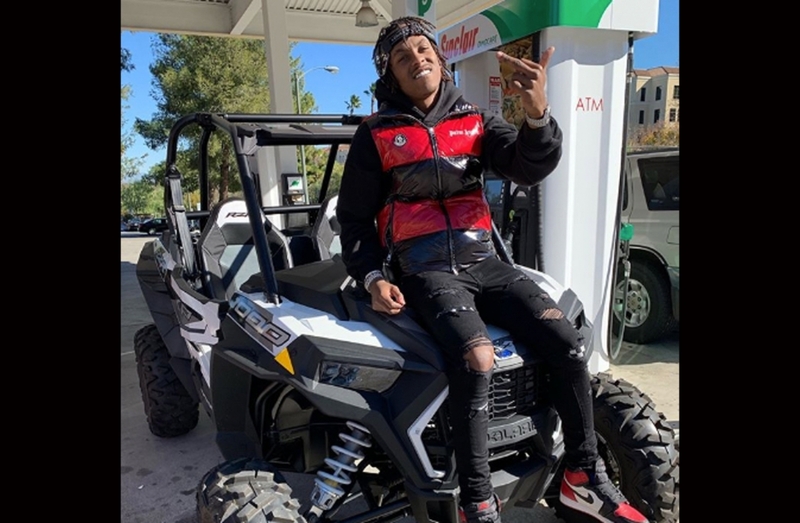 RICH THE KID INVOLVED IN A ACCIDENT. Rich and a friend were riding Polaris RZR ATVs in Calabasas, Calif. when Rich was in the disastrous wreck. Rich and his friend rode their four-wheelers into a dirt lot behind Calabasas Luxury Motorcars. That's when Rich apparently lost control of his vehicle and it flipped over as he was doing donuts in the lot. Firefighters and paramedics arrived on the scene shortly after the accident. Rich uploaded a video of himself lying on a hospital bed. He seems to be ok though. He can get back to "Plug walking" soon.